In late May, the country’s priority crime investigation unit, the Hawks, announced it was investigating what may be one of the country’s largest-ever investment fraud schemes. 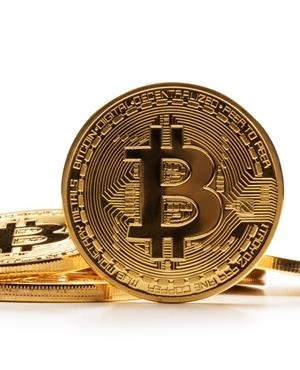 The Hawks reported that more than 28 000 investors may have been swindled out of a combined R1bn by a an investment platform known as BTC Global, which promised astronomical returns if investors bought a minimum of a thousand US dollars’ worth of the cryptocurrency bitcoin and then sent the purchased bitcoins to the cryptocurrency wallet of a "master investor". 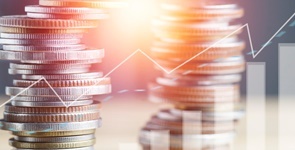 It was promised that the US-based master investor, one Steven Twain, would then magic this money into earning 14% interest per week and send back the proceeds. "Through our partnership with Steven, BTC Global have secured access to guaranteed [sic] 14% WEEKLY returns from as little as $1,000 in your account," stated the landing page of the group’s website in February, now preserved on the internet archive site Wayback Machine. But the returns promised to South African investors by the company were financially impossible in the medium term. In fact, not enough money existed in the world for the weekly interest they were guaranteeing. Twain was the sole trader. His ability to make money for investors was apparently due to his owning the "latest trading tools" and six years of trading experience, although no details were given. There were no direct contact details for Twain, apart from a gmail address and a recently created Facebook page. But the promised 14% weekly growth - a return rate so improbably high that it would immediately set off alarm bells with seasoned investors - was not even the best Twain could do. Twain, read the website, was at one point "able to pay out 40% to his largest investors weekly & still make a profit for himself!" While a group of administrators - many of them South African - ran the back end of the site, Twain would do the investing. And for the administrators, the distinction was important. "BTC Global maintains the back office software and tracking systems but does not directly handle the money in your account. All funds are paid directly to & from Steven in Bitcoin." Only two photos of Twain seem to have existed - one of him wearing a white suit and sipping a milkshake; the other taken of him standing in front of what appears to be a piñata. The South African administrators frequently posted about Steven on social media - sharing screenshots of his alleged texts on the Telegram app, reposting his messages on Facebook, and giving accounts of recent onversations they had with him on YouTube. But apart from the administrators, no one seems to have talked to Twain directly. When Twain had apparently absconded with millions of rands worth of bitcoin, the administrators protested their innocence. "I pushed him for a live video and asked him to address us all on Skype. He was dead set against it. I knew that if I pushed harder he would pull away," wrote one of the SA administrators, Cheri Ward, on her blog. Twain, she wrote, was terribly shy. "As a leadership we decided that we would let him have his peace. He had, after all, been making payments on time every Monday to hundreds of people without any trouble." BTC Global’s pitch was that investors who put in $1 000 could expect to earn $140 in profit in the first week. And via a complicated multi-level structure, if investors helped recruit others, they would receive additional income, a model common with multi-level market or Ponzi scams. How exactly the 14% profit was made was left unclear, apart from vague references to "binary trading" and Twain "using the latest trading tools". Why this master US investor needed to source income from a constant stream of South Africans was also not explained. The site also made no reference to being an authorised financial services provider - accreditation which is compulsory for all South African investment managers. 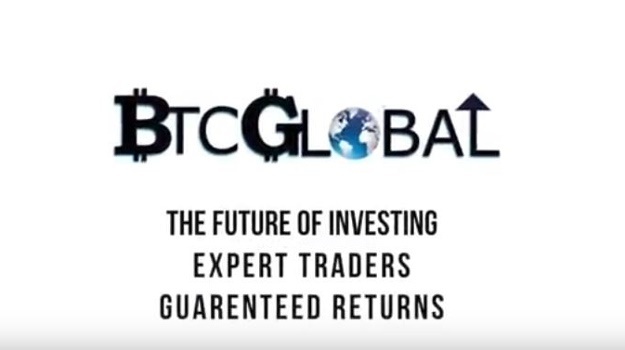 Investing in BTC Global was sold as a chance to get in on the ground level - it was the "future of investing", as one of its YouTube ads stated. It had all the hallmarks of a pyramid scheme - a term used to describe a type of financial fraud where initial investors receive returns based on money put in by new investors. "Once you have reached at least 15 personal invites with active investments, your second level of shares will unlock, thus giving you a monthly residual income of 4% per month for the total active investments in the level 2 of your hierarchical structure," states the ad. Of course, once the stream of new investors runs dry, the whole edifice falls apart. On February 19, BTC Global posted on its website that they couldn’t get hold of Twain. "Steven has not contacted anyone in [the] leadership or admin team. No payments have been made by Steven." The message, which is still on the site’s landing page, states that the administrators were shocked that Twain had vanished. "But we all knew the risks involved in placing funds with Steven. We all became complacent with Steven. And all of us funded him independently." In a later Youtube video, Ward promised to help recover the money, keep the community updated and find Twain. But burned investors now started paying attention to what legitimate cryptocurrency sites had been arguing for months. Twain never existed, and was created by someone - whether the administrators or someone playing the administrators - as part of an elaborate fraud. "Steven Twain is an alias and not a real person," states a post on the Facebook group BTC Global Scam, which has more than 740 likes. Ward denied that the administrators were involved. "I find it absolutely ridiculous. It is physically impossible for any of us to have started BTC Global," she said. 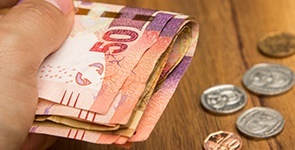 According to the South African Banking Risk Information Centre, one of the major signs of a potential investment fraud is the promise of guaranteed high returns. The returns promised by BTC Global were financially and economically impossible. At 14% interest, the $1 000 dollar base amount would have grown to $798 000 in one year. By year two it would have grown to $828m. By year three $728bn. If Steven Twain, then, had in fact been able to honour his investment promises, in just three years each investor would have been seven times richer than Jeff Bezos, the founder of Amazon and the world's richest man. By year four, investors would be sitting on a cool $685 trillion, far more than the gross world product, which combines the gross domestic product of all the goods, trade and services in all the world’s countries put together. Rather, investors - often family members - were bamboozled with the latest internet buzzwords, nonsensical graphs and spreadsheets showing apparent returns on investments. "Scamsters will go to great lengths to get victims to invest in these schemes through the use of social engineering tactics," said SABRIC CEO Kalyani Pillay earlier in the year. "They will even come up with convincing, fabricated statistics to make their offer look attractive, so always treat these kinds of schemes with suspicion. "They often promise guaranteed returns – no return is ever guaranteed, all investments carry some risk." At the last stage, says Pillay, the promoter becomes unavailable and returns dry up. * It's National Savings Month. Do you have a successful savings plan or story to tell? Share it with us now and help others on their journey to financial freedom. For more on savings visit our special Savings Issue. Scamsters will go to great lengths to get victims to invest in these schemes through the use of social engineering tactics.